I was thinking about good books that I have read which inspired me and I came up with this mani. I call it Tracks on a Dusty Road because the crackle looks like tire tracks and the color I used looks like dust. The book which inspired me was Dust Tracks on a Road by: Zora Neale Hurston. She chronicles her life and the color I thought was close to her skin color as well. 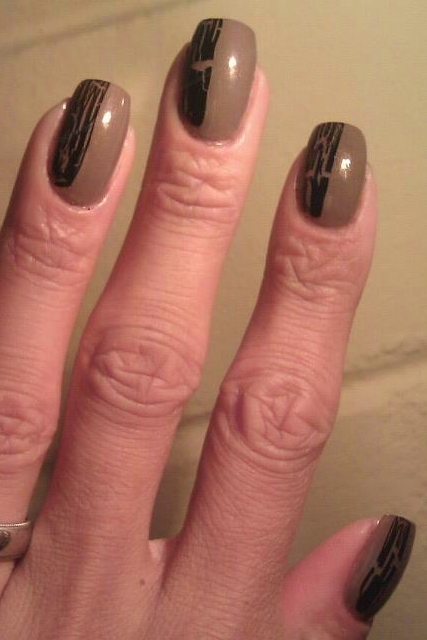 The base color is Ulta "Taupe on a Rope" and the crackle by SH "Ink Splatter"